As I sit writing this, I am trying to find an outlet for all my extra energy left from the closing of my first college theater production. I will no longer have the consistency of filling my evenings with rehearsals…but I will value the ability to sleep. Anyone who has ever taken part in a theater production of any sort can relate, not only to the sudden void you feel when the run of a show comes to an end but also to the long and sometimes disheartening process of becoming part of a theater production to begin with: auditions. Many actors’ least favorite part of their craft, whether professional or otherwise, is the audition. They can be a trying experience for any actor. This is a lesson I learned clearly—and harshly—when I first started college last fall. Though I am not officially a student in the theater department yet, I attended every audition the department held (open to anyone at the college), all of which occurred in my first two weeks of college. I learned more than a few things along the way that I hope will be of use to other students hoping to join college theater productions and departments of their own. First of all, it may seem odd to some that there were so many auditions within such a short period of time at the beginning of the fall semester. 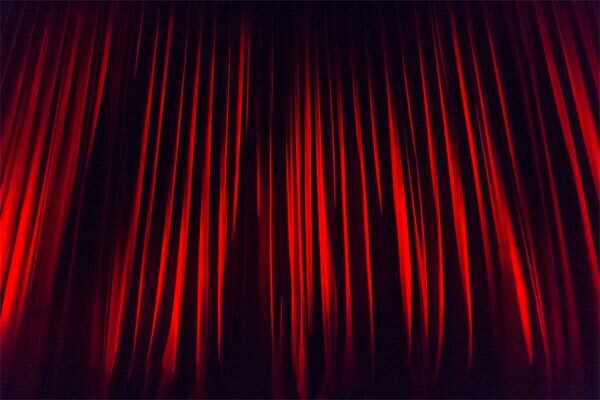 If you are going to be a theater major or even just want to be a part of your college’s productions, it is best to find out the audition schedule if you can before you arrive on campus. That way, if there will be several auditions in the first few weeks, you can properly prepare (usually a monologue or two and at least one 16-bar cut of a song if you’re auditioning for a musical). I learned this lesson the hard way by starting the semester completely unprepared and slightly overwhelmed as an actor. Thus, when I had three auditions and a callback in my first two weeks away from home, it’s really no wonder nothing became of any of them. So why go to all of these auditions when the beginning of the school year is stressful enough as is? This is something I grappled with several times during the aforementioned two weeks of auditions. Auditions are stressful, and having a lot of them right in a row can be very stressful. But consistently going to auditions, even if you think you don’t have much of a shot, shows initiative and a willingness to learn. It also gets them out of the way at once, which can be nice. But more than anything, my two-week audition marathon (for lack of a better term) taught me a lot about acting and how different it can be between high school and college. Some of my auditions were the standard monologue and reading of scenes in front of the director, but others included things like improv exercises, theater games, and short pantomimed scenes, things I’d never done outside of a few theater classes in high school. I also had my first ever dance call for a musical I auditioned for in those first weeks of college. My lesson here is even though I was super stressed out those first couple weeks and didn’t get into a single show, I was glad I went to all those auditions in the end. It turned out to be an amazing learning experience and got my foot in the door with the department for when I joined the cast of another show the next semester. I was also able to be in a show with the town’s community theater later that semester, something I wouldn’t have done if I’d been in a production with my university, and it was a show I’ll always be glad I did. Above all, the most important thing I learned as I began my journey into college theater was to never to give up on myself. I know this sounds cliché, but I’m being completely honest when I say I was so much better off when I made myself keep working, even when things got rough. I wanted to write this blog not only to share what I’ve learned so far with other new college actors but to put into writing what I probably needed to hear about eight months ago. It was a little scary when I auditioned over and over again—and disheartening when I wasn’t cast over and over again. The whole reason I wanted to do theater in college was to try to reach the “next level” after high school theater, but I started to wonder whether I was good enough for the next level. But after several weeks of unsuccessful (but not pointless) auditions, I was cast in a small role in that community theater production and had the time of my life with an amazing cast and crew. In the spring I decided to audition for my university theater once again and was cast in my biggest role to date. I went from an incredibly fun, albeit small, role in the fall semester to a how-am-I-ever-going-to-memorize-all-these-lines-but-this-is-going-to-be-so-much-fun-if-it-doesn’t-kill-me role in the spring, both of which I will be so grateful for, for the rest of my career. I don’t think I ever would have auditioned for either of these incredible shows or worked with the same groups of amazing people if any of my auditions back in August had worked out. As someone who lived through most new theater majors’ biggest nightmare, I now truly believe that everything will work out the way it’s supposed to in the end. You may not be able to see it right away, but keep working at your art, believe in yourself, and remember, “Act well your part; there all honor lies” (Alexander Pope; motto of the International Thespian Society). What Are College Art Classes Like? What Can You Do With a Graphic Design Major? Emily is a college freshman at Morehead State University, where she is studying communications and theater. When she is not in school, she is an actor, musician, singer, and writer.